The man behind the bass, Lorin Ashton AKA Bassnectar. Photo – Bassnectar – Facebook. Lorin Ashton, otherwise known as the bass music behemoth Bassnectar, is an undeniable force in the global dance music community. With one-of-a-kind productions, life changing live performances, and refreshing social philosophies – Ashton is spearheading a movement toward something different in the international bass music scene. But, before we get into all that, let’s take things back to the beginning to get the full story. Ashton in his early days. Photo – Bassnectar.net. Ashton was Born in Santa Cruz, California in the late 70’s. 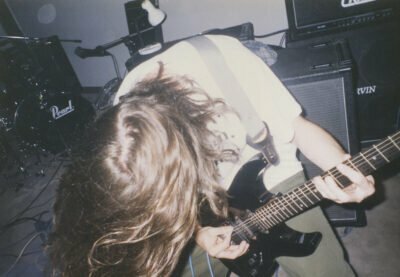 Growing up listening to bands like Metallica, Nirvana, and Megadeath – he eventually picked up the guitar and immersed himself in the Bay Area music scene. After forming a heavy metal band with his best friend, Ashton quickly found himself diving into the heavier and darker side of music. With a newfound interest in black metal, death metal, and grindcore – music took on an obsessive role in Ashton’s life. Eventually, a defining moment brought about a musical change would irrevocably change the fabric of bass music as we know it: Ashton attended his first rave. “As opposed to the introverted darkness of metal, I found ‘rave music’ to be just as raw and powerful and immersive, but the values were very positive and friendly, and so was I. After his early rave experiences Aston became involved in the Bay Area underground music scene, helping to organize underground warehouse raves, beach parties, and more. Eventually a friend taught Ashton the ropes on a set of turntables, and after a short time on the decks he realized his affinity for mixing records. And so was the birth of DJ Lorin. After honing his chops in the Bay Area, DJ Lorin made a name for himself and branched out from house parties, beach parties, and forest raves to bigger shows and venues. Releasing his first album, Freakbeat for the Beatfreaks, in 2001 – things began to snowball for the Bay Area Musician. Eventually Ashton transitioned from his early moniker, DJ Lorin, to the now-famous Bassnectar namesake. “One Sunday morning, a few hundred friends and I were deep off in the boonies on a beach outside of Santa Cruz. We had been there all night absolutely raging, and as the sun rose over the water and illuminated the beach I noticed another sound system and group of people way, way down on another side of the beach. I was usually the sober guy who would go talk to the cops if they came to bust our fun, or to basically handle whatever needed to be handled, so I started walking over to this other party. As Ashton continued to make a name for himself both in the studio and on the stage, he released a string of albums (Beatfreak Bohemia, Motions of Mutation, and Diverse Systems of Throb) to continue solidify his presence in the dance music community. 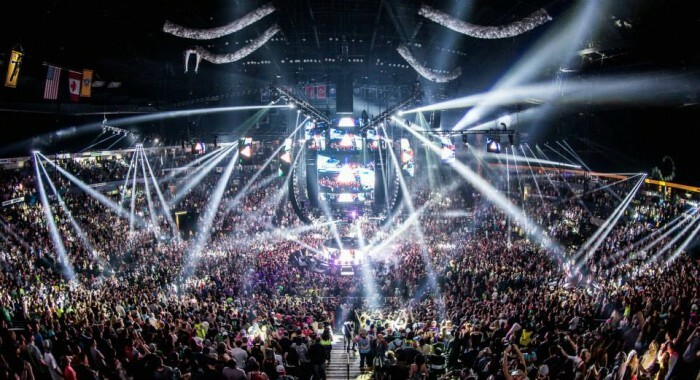 Bassnectar 360, New Year’s Eve 2014, Nashville, Tennessee. Photo – Bassnectar – Facebook. With his fifth L.P. release, the cult classic Mesmerizing the Ultra was born. Incorporating Ashton’s philosophy of omnitempo maximalism (“no limits, no hesitations”), Mesmerizing the Ultra is an juxtaposition of style, timbre, tempo, and color the likes of which is seldom seen. As 2007’s Underground Communication and 2009’s Cozza Frenzy greeted the world’s ears, Bassnectar’s popularity continued to grow to the world stage. 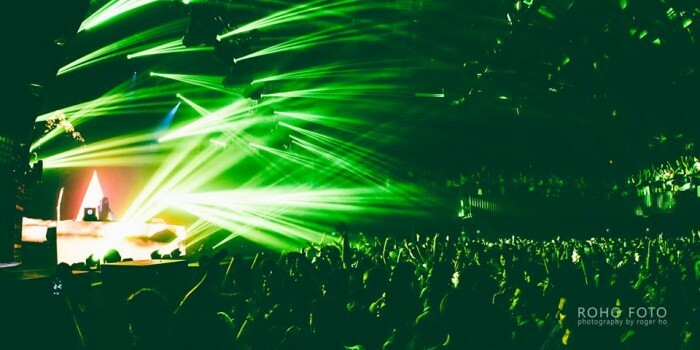 As the metamorphosis continued to take hold, the music has provided an international platform for Bassnectar’s true goal: connecting people to form a community. As previously quoted, Ashton has stated the reason that he feels so closely interconnected with the EDM movement is because of the raw power of the music and the sense of positivity and community that it inspires. Bassnectar has always incorporated this into his work. From his famous family photos to forming groups like the AmBASSadors, every component of a Bassnectar experience ties in to help keep the community tight. Family photo: Buku Music and Art Project 2015. Photo – Bassnectar – Facebook. AmBASSadors are handpicked fans that are there to help form a lasting community at Bassnectar concerts. AmBASSadors are fans who are expected to “direct people, know the set times, hand out water, spontaneously burst into song and dance, grab fans and take them on adventures, and generally create a playful, unique, vibrant atmosphere”. If it sounds like the world’s best gig, that’s because it is. The AmBASSadors may seem like something small or trivial to some, they’re an exemplification of what truly separates Bassnectar from a solid chunk of today’s artists. He’s striving to create the utmost experience possible for friends and fans in the attempt to create something bigger than the music; a lofty goal, no doubt. Never one to be satisfied with the status quo, Bassnectar’s community building outreach extends far past the stage. 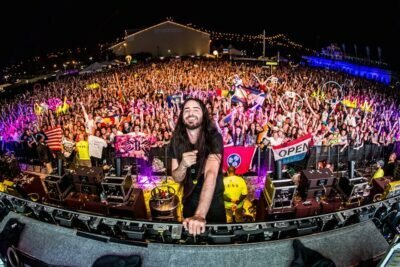 2011 saw the unveiling of Bassnectar’s “Dollar Per Basshead” campaign in which one dollar from every Bassnectar ticket sold would be donated among a trio of charities of the Basshead community’s choosing. Over the course of 2011, Bassnectar and his fans raised $250,000 to be split among the Alternet, Free Press, and Reach Out organizations. $250,000. Wow. Following up 2011 with over $100,000 in donations in both 2012 and 2013, Ashton and the Basshead community are doing what they can to make a difference. If you’re wondering how a dollar per ticket can amount to something as massive as a quarter of a million dollars, watch the UKF On the Road video to get an idea for the size and scope of a Bassnectar show. By creating an immersive experience that resonates so deeply with fans, Bassnectar performances can almost be seen as a vehicle for philosophical and social change. 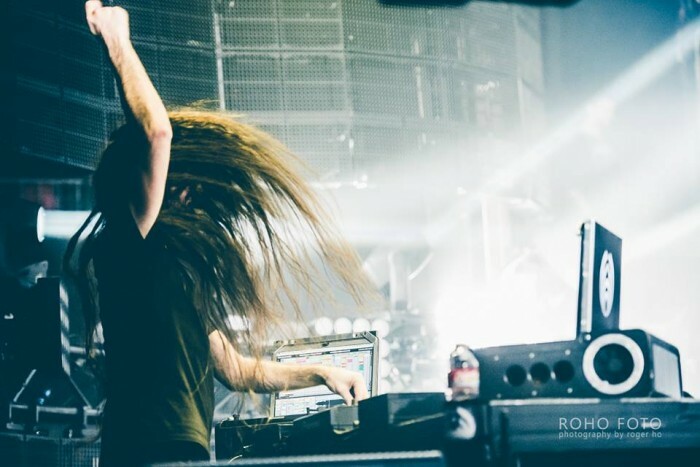 From his insane sound and light rig to the AmBASSadors, everything in a Bassnectar show coalesces to provide a feeling of connectedness among attendees. Bassnectar rocking the house in Austin, Texas. Photo – Bassnectar – Facebook. With major performances at festivals like Coachella, Bonnaroo, Camp Bisco, Summer Camp, Electric Forest, All Good, Wakarusa, and more – it’s safe to say that he’s been conveying the feeling in spades. As Bassnectar continues to release tunes and relentlessly tour, fans can only wait in excitement for his next amorphous conglomeration of music. 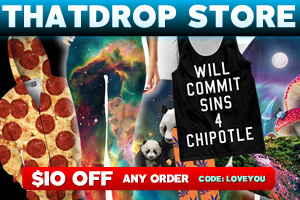 On June 30, 2015 – we didn’t have to wait any longer. Dropping the much-anticipated Into the Sun album, Bassnectar treated fans with 16 tracks and a 70-minute mixtape for bass music exploration. As Ashton keeps pumping out music (even hinting that there’s still material left for another album), we can’t wait for the next releases in the Bassnectar catalog. He’s currently putting the finishing touches on a track with Rage Against the Machine guitarist Tom Morello; excitement doesn’t begin to describe the feeling. With an unmatchable sound and an inspiring look on music, culture, and life as a whole – Bassnectar is a driving force in today’s electronic music scene. Listen to his June 2015 album, Into the Sun, below. To catch the mayhem master live at work this year, check out Bassnectar’s remaining 2015 tour dates.